Great location. Kitchen well equipped and tea, coffee, cleaning materials provided. Bed comfortable including the sofa bed. Plenty of towels and bedding provided. La situation géographique . La facilité d’être en famille avec les deux appartements réunis . Vynikající poloha - přímo v centru města. Ačkoliv bylo ubytování jednoduché a nevelké, bylo vše připravené a čisté. Très bien situé ! Le confort n’est pas au rendez vous mais pour une nuit c’est amplement suffisant. Schönes Appartment mit Klappsofa. Alles dabei, was ein Appartment braucht. Alles war sauber und ich habe gut geschlafen. Sehr zentral im Ortskern gelegen. Restaurants und Geschäfte in direkter Umgebung. Le faite que l appartement soit situé au centre, le charme de l ancien et le côté atypique. La fonctionalité et l'agencement optimisé malgré la petite surface, beaucoup de charme. La degustation tres appreciée malgré notre retard sur l'heure de notre arrivée. Accueil tres chaleureux et tres gracieux. This half-timbered house is located in the town of Chablis, in the heart of the Burgundy region. 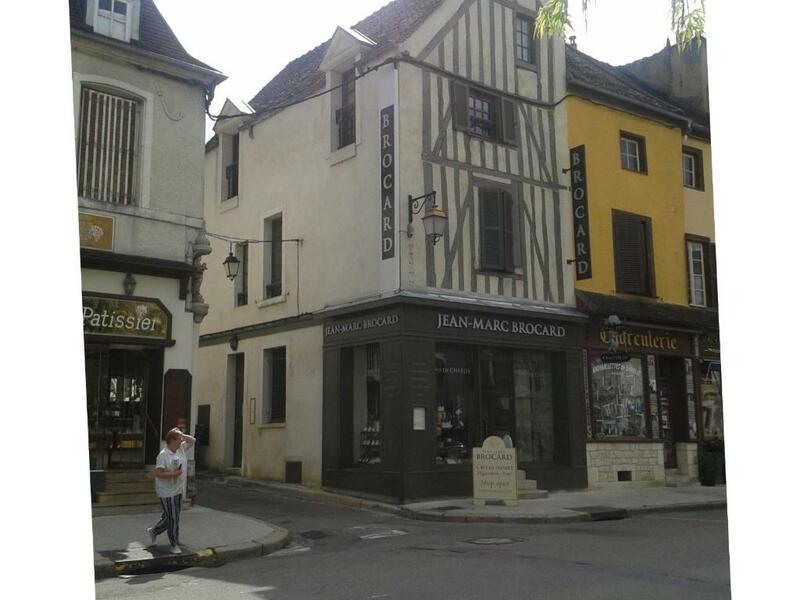 Les Chambres de Jean Marc Brocard features its own wine cellar and shop selling local wines. Free Wi-Fi access and a TV with DVD player are provided in the studio and apartment. Each has a private bathroom with a hairdryer. At Les Chambres de Jean Marc Brocard, the kitchenettes are equipped with a fridge and a microwave. The A6 motorway is just a 5-minute drive from the apartments. Auxerre is 11 mi away. 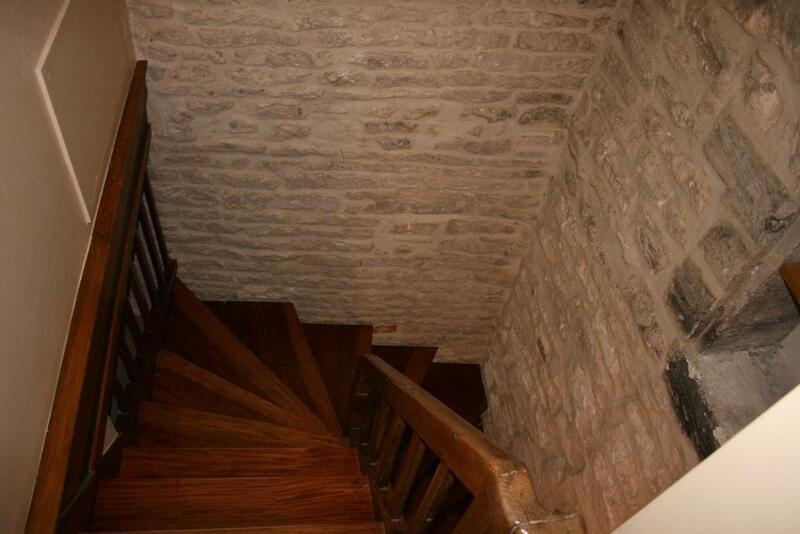 When would you like to stay at Les appartements de Chablis? Free Wi-Fi access and a TV with DVD player are provided in this apartment. Bed sheets and towels are included. Please note that the mezzanine floor in this apartment features a double bed and is not suitable for young children or guests with reduced mobility. Come and enjoy our pretty apartments in a half-timbered house in the heart of Chablis! You will be completely independant with their equiped kitchen and private bathroom. Please note that the sheets are not included. House Rules Les appartements de Chablis takes special requests – add in the next step! Les appartements de Chablis accepts these cards and reserves the right to temporarily hold an amount prior to arrival. Please contact the owner if you plan to arrive after 18:30. Contact details can be found on the booking confirmation. Please inform Les appartements de Chablis of your expected arrival time in advance. You can use the Special Requests box when booking, or contact the property directly using the contact details in your confirmation. The size of the bed was not as advertised. Two floors up a steep staircase. Excellent location near all amenities. Not a lot of work surface in the kitchen. Can not park outside Not a lot of hanging space for clothes DVD player didn't work and couldn't get English speaking channels but not really a problem as didn't go to watch TV. Despite being advertised as 2 singles and a double it is not. It is one double with a pull out sofa bed.